Lady Lake Fla, (WESH) – A man is behind bars, facing a slew of charges after he led police on a high-speed pursuit, that crossed The Villages neighborhoods, a golf course, and ended in a crash and foot chase. Jesse Charles Webb, 29, is in the Lake County jail facing, among other charges, fleeing and eluding police, motor vehicle theft and possession of ammunition by a convicted felon. As police arrived at West Boone Court and Paradise Drive near the Orange Blossom Hills Golf and Country Club, police said Webb jumped into William Easton’s community watch vehicle and sped away. They chased after him through streets and past homes in the senior living community and, ultimately, onto the golf course itself. The suspect vehicle drove off the course at one point, onto local streets, then back onto the course as officers tried to deploy stop sticks at Magnolia Avenue and Water Tower Circle. 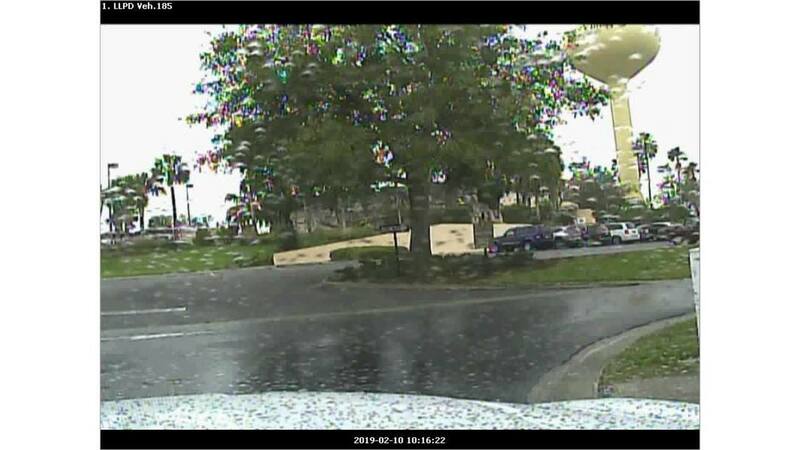 He then drove onto U.S. Highway 27/441 and at the Freedom Pointe senior living center, at 1550 El Camino Real, The Villages, the suspect crashed and fled on foot. Two officers chased him down and arrested Webb. In the incident report provided to WESH 2 News, police identify Webb as a convicted felon, and a habitual offender out of Georgia. Police said he has two active warrants for violation of probation in that state.